The embryology laboratory (and staff) should be immediately available during the oocyte (egg) retrieval procedure. 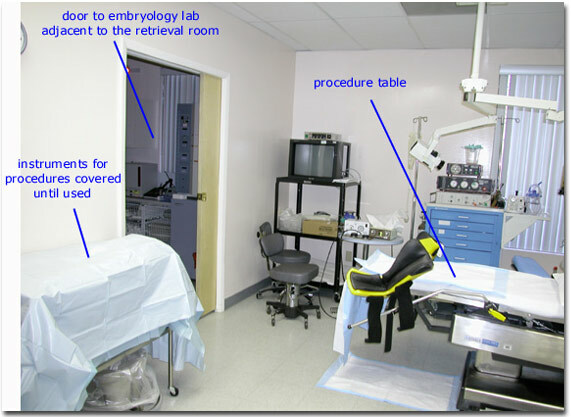 In this IVF retrieval room setup there is a pocket (slide) door near the foot of the retrieval table that opens up directly into the embryology laboratory. The Reproductive Endocrinologist retrieves ovarian follicular fluid with the eggs at the foot of this table (under ultrasound guidance) and these eggs are immediately passed off to the Embryologists for evaluation and culture.